The Long Meadow property is immediately adjacent to and upstream of Boxwood Gulch. It has been part of our fishing program since 1998. 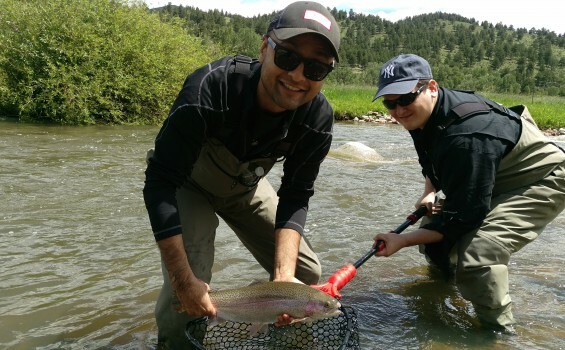 Nearly 2 miles of water and some of the best Dry Fly fishing in the area. In September of 2014 we completed major habitat improvement on nearly 50 % of the main channel at Long Meadow. We did this work to enhance the trout holding capabilities and to provide more great fishing areas for our Long Meadow anglers. While this area at times could accommodate 20 anglers we limit the # to a maximum of just 10 anglers. If your group is more than 10 please look at the Boxwood location. Or, book both areas and get nearly 3 miles of private water. At Long Meadow big Trout lurk in its nearly 2 miles of channels and back waters, just waiting to attack your fly. Don’t be surprised if you hook into a double digit Bow or land a 16″ Brookie. Two miles of very accessible yet Wild river. There is a shelter, grill, and picnic table, and a professionally maintained porta-potty. 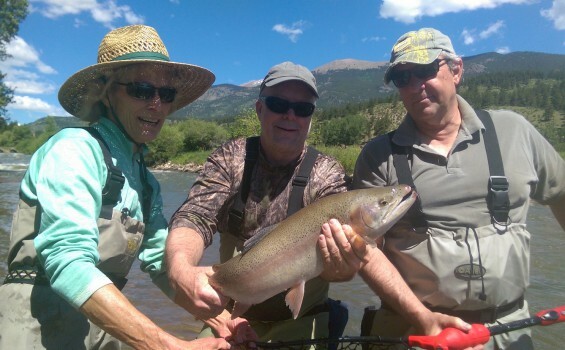 You can of course book BOTH Boxwood Gulch and Long Meadow, for your group, and enjoy 3 miles of phenomenal fishing with all the amenities and privacy of an exclusive fishing club. Check with your Guide/Outfitter about meeting times, meeting places, breakfast and lunch or any other special requirements that you may have. At the Long Meadow section you get to eat lunch outdoors. All of our authorized guides and outfitters will be able to accommodate your requests. 4 and 5 weight, medium fast rods are suggested, backed with disc drag reels. Floating line and 4x or 5x leaders and tippets. Waist high waders allow anglers to access 90% of the water, with chest high needed only for the brave at heart. 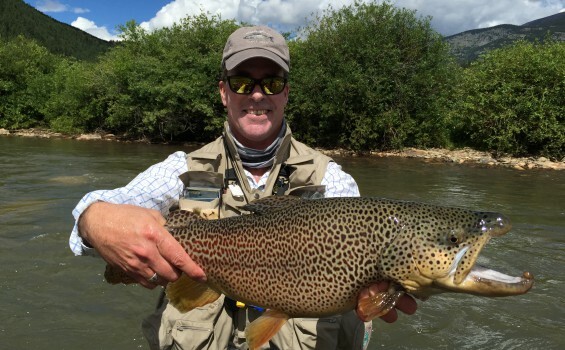 Bring your polarized sunglasses because you will be sight fishing for “monster trout” in crystal clear water. Rain gear is always a good idea. Dry fly action starts in late March and lasts through early October. Long Meadow guides suggest that clients use their confidence patterns. Suggested dry patterns are mostly attractors such as Royal Wulffs, Stimulators, Trude Wing Coachmen, Hoppers and Caddis in sizes from #14 to #8s. Special Long Meadow patterns such as Olive Death Gold Prince nymphs, Turks Tarantula, Bite Me, and many others are available for purchase in seasonal selections from our Authorized Outfitters. Winter months can offer some of the best nymph fishing in the Rocky Mountain range, because of the mild conditions, we fish in what is referred to as the “Bailey Banana Belt.” Stone flies, Wooly Buggers, and other nymph patterns can yield an angler a 20 fish day. Streamer fishing is a year round affair at Long Meadow. Because of the competition between more than 2000 fish on approximately 2 miles of river, Streamer patterns such as Spruce streamers and sculpins, can trigger savage strikes that will make even the most experienced anglers tighten their drag. The combination of natural spawned trout and fish raised in our own ponds provides anglers an unforgettable outing of both shrewd selective trout and friendly receptive fish, that will test his or her tippet to the max.